GLORIOUS is the word for FIESTA! Cholita (Anne Ayars), is expected back from a long stay in Mexico City, and is suppose to take over the running of the Rancho (which is the size of a small town and just as many workers). Her Childhood sweetheart José (Jorge Negrete), and her uncle (Antonio Moreno), are expecting her to finally marry José, just as her father wanted, but she shows up with Fernando (George Givot), a Radio Star, with whom she is engaged. 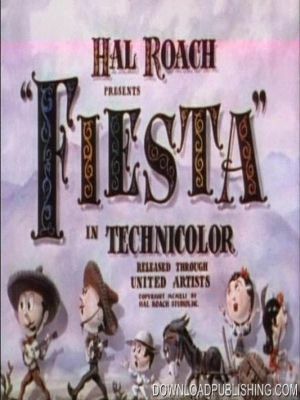 Production Company: Hal Roach Studios Inc.